To read a full transcript of the Keynote Address given by Goenawan Mohamad at the ATF 2015 public talk Art & Democracy, click here. Or, the necessity of the superfluous. 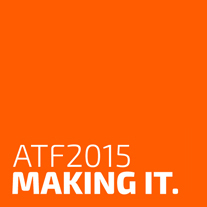 To read a full transcript of the Closing Address given by Frie Leysen at ATF 2015, click here. These transcripts remain the copyright of the authors and the authors assert their moral rights. Any copying or republishing of the transcripts must acknowledge the author and the Australian Theatre Forum 2015.